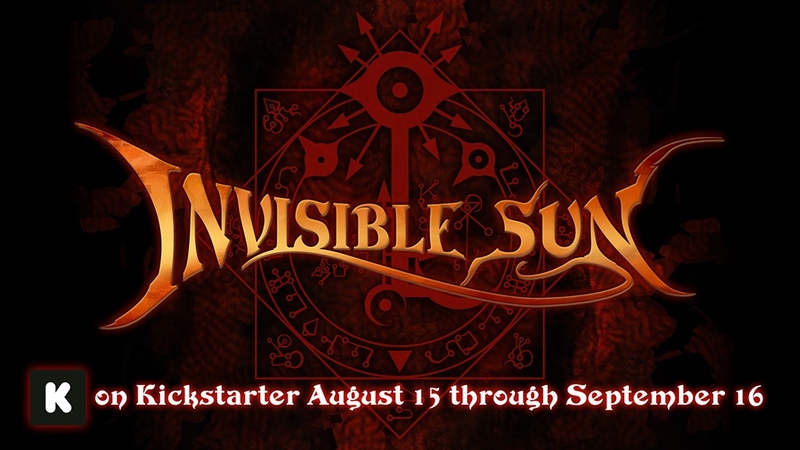 Monte Cook Games is running a Kickstarter campaign for Invisible Sun, their new mystery-filled RPG. This ambitious project takes gaming to a different plane, filled with secrets both within the game and within the game components. It is also designed to tackle that biggest of gaming problems: getting an entire group together on a regular basis for a session. The game setting is the world we live in, but not. There's worlds within worlds, filled with plenty of possibilities and mysteries. As for characters, there's not much in the way to limit your decisions. Maybe you're armed with a demon-gun that only hurts possessed people. Maybe you're a wraith. Perhaps you're searching for a secret number between 12 and 13. Or, basically, whatever else you and the group decide on. I would say "GM" but since there's options for solo play, you could be the GM, yourself. The Kickstarter campaign's about 3/4 funded already with still 31 days left on the clock.